Oh, fall. We think you might be our favorite season. The changing leaves, the kids are back in their routine and sweaters and long pants come out of hibernation. Here at Tea, we’re preparing for the cooler weather with the arrival of our Newest Fall Styles. Before designing this collection, our designers trekked the mountains and forests of Japan, immersing themselves in nature. Outdoorsy and rugged, our new arrivals are designed to keep up with all your little citizen’s fall adventures. You are going to fall in love with all the new styles! 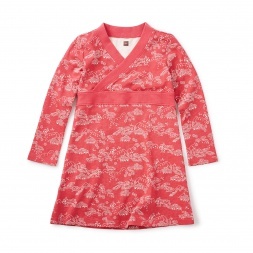 Girl: Starting at $29.50, one of Tea’s most popular silhouettes, the wrap-neck dress, is back for fall with one-of-a-kind prints inspired by the natural beauty of Japan. 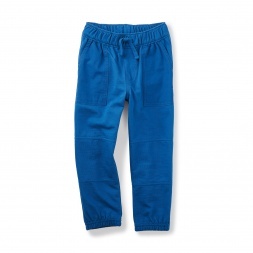 Boy: Made for outdoor exploration, our all new Patch Pocket Joggers are fun, comfy and ready for all day play. At $35, this style features reinforced knees, a pull on waistband and deep pockets for storing found treasures. Baby Girl: Our most-loved rompers are back in super comfy 100% cotton. The prints and patterns feature kimono-inspired and scenic prints in beautiful colors. Baby Boy: It’s all about the graphics for baby boy. The most adorable animals adorn our tees and sweatshirts. Be on the lookout for special details like embroidery and reverse appliques that make these pieces even more amazing. There are many more styles, colors, outfit peices, and complete sets to choose from. 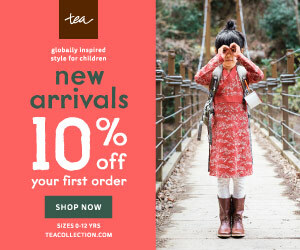 Shop Tea's New Fall Styles now!